Spain competes with Italy and Greece not only in the tourism industry, but also in tourism inside out - by the number of "refugees" accepted. 95% of them are wealthy economic migrants and hunters for a sweet life in Europe, where you can still live well without doing anything. While real refugees do not usually have 8-10 thousand euros per person to afford to pay their way to the coveted Europe and remain in the camps near the places where they fled. And at that time, other "refugees", having collected money from relatives, having secured the support of Soros NGOs and smugglers, go on a long journey, to the "Promised Land". Their routes are influenced by the geography and political situation in the countries through which penetration into Europe is possible. Its borders are closed on all sides, but from the south in recent years have been deliberately opened, now - closed, but there is still a chance to seep into the EU. As soon as the countries of Central Europe that were indignant with the millions of invasions of "illegal migrants" in 2015 shut down the "Balkan route" and concluded an agreement with Turkey to curb illegal migration to Greece and further to Europe, the main migration flow moved to Libya. It went through it before the globalists and Turks interested in mixing the population, who wanted to Islamize Europe as soon as possible. For a few years, the EU leadership managed to motivate the Turks through the payment of tribute to attract the elementary order on their borders and to motivate them. And in Libya, toughen the migration control. And now the "Libyan stream", which came out on the first place in terms of the number of "illegals" penetrating into Europe, began to dry out. The victory in the recent parliamentary elections in Italy of anti-immigrant parties that closed the country's ports for the ships of "human rights activists" who organized a "Mediterranean taxi" to Europe for "illegals" along with the mafia, struck a new blow along this route. However, supporters of the transformation of Europe into a new tower of Babel responded to this counterattack. As a result of sophisticated and complex undercover intrigues in Spain, it was possible to change power. The ex-premier of the conservative was replaced by the naive socialist Pedro Sanchez. For the new chairman of the Spanish government, the main thing is ideology, "spirit", and not the letter of the law. It was not only the Catalan separatists who appreciated this happily. Migrants also quickly navigated the situation. The popularity of Spain, already growing due to its geographical availability since the second half of last year, has increased dramatically in recent days. Now - in connection with the problems in the beleaguered from the "refugees" of Italy and until the collapsed agreement on migrants between the EU and Turkey - taxis "Spanish route". Almost immediately, thousands of "refugees" began to be "saved" the coast of Spain, and ships of "human rights defenders" stuffed by "illegal" people rushed to its ports, which were stopped by Italy. For example, on July 27, 888 people were "saved" in the Strait of Gibraltar. 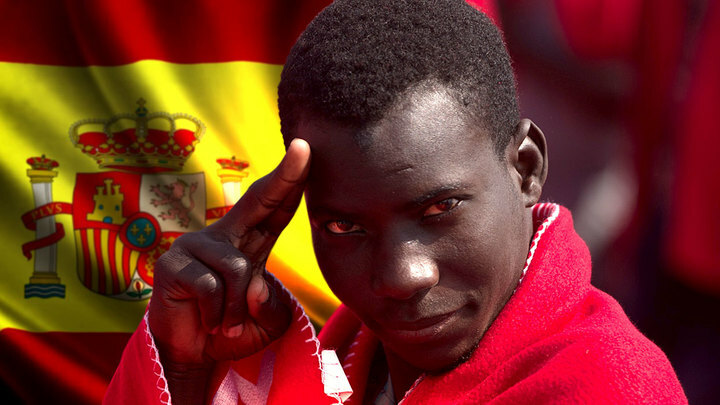 According to the International Organization for Migration, since the beginning of 2018 almost 21,000 migrants have arrived in Spain, over 18,000 have arrived in Italy, and 15,500 in Greece. Spain, which was recently on the sidelines of "social jihad" in Europe, became the main gateway for illegal penetration into the European Union. But the Spaniards still have to. Although their new authorities have already begun to vaguely realize that something has gone wrong. Due to the fact that the new Italian authorities are doing everything to stop the abuse of the right of asylum by economic migrants and terrorists, the main stream of this public will now fall on Spain and Greece, whose population will have to pay in full for the blatant ideology of their leftist authorities, which are manipulated by globalists and Islamists. Let's see how much patience of the Spaniards and Greeks suffice, and how the tourism industry will react to all this in the long term, due to which these countries traditionally live, are not rubber.